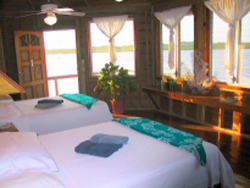 If you want a place to get lost in relaxation with spectacular diving, then CoCo View Resort offers just that with a choice of an oceanfront room, over the water cabana, or bungalow. 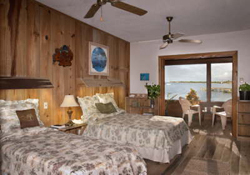 You might be getting the fact that all rooms have a great view; not only that, but all 26 guest rooms are spacious, decorated in local style, and come equipped with air conditioning. 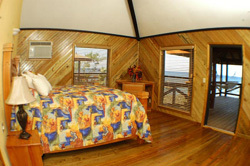 *10 Oceanfront rooms boast their own private porches or balconies, and have a king or double/single bed configuration. 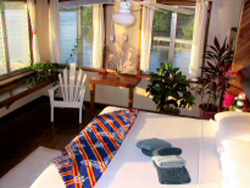 *12 Over-the-Water Cabanas offer an over the water deck, and have double/single bed configurations available. 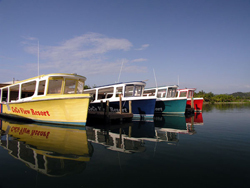 Enjoy shallow reefs, wrecks and incredible walls from the four, fifty-foot dive boats owned and operated by CoCo View that provide a comfortable ride out to all of the dive sites surrounding Roatan. 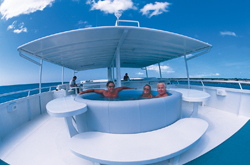 Designed for easy of exit and entry, you will enjoy up to four tank dives a day from these professionally crewed boats. 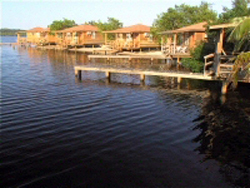 Roatan is home to Anthony's Key Resort (AKR), which boosts wooden cabanas that overlook a lagoon comprised of two private islets (Anthony's Key and Bailey's Key). A jungle of lush palm trees cover the hillside and lead to a stunning lagoon surrounding the resort. 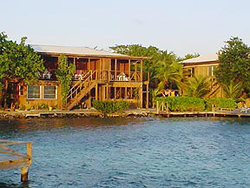 AKR is also home to the Institute of Marine Sciences, which provides you the opportunity to swim with dolphins in the "Dolphin Encounter." You have a choice of a room on the hill or in the key. 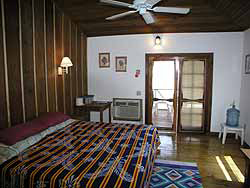 All accommodations come equipped with a ceiling fan, large windows with wooden shutters, and 2 double beds or a king (few). * Hot coffee can be brought to your room every morning (free of charge)! 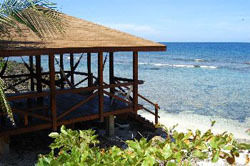 Find your self on a private peninsula off of the south central section of Utila, and you are at the Laguna Beach Resort. This property has a rustic yet comfortably elegant feel. 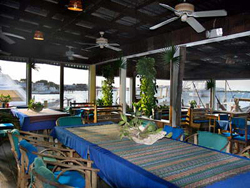 The resort has 13 spacious waterfront bungalows, with will accommodate up to 36 guests. The on-site dive shop provides you with easy gear storage, fresh water showers and separate rinse tanks for cameras and gear. 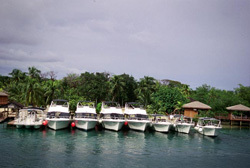 The resort has 3 Newton custom dive boats (Show Time, Over Time and Island Time) equipped with tank racks, rinse tanks, platform and unique slant ladder. 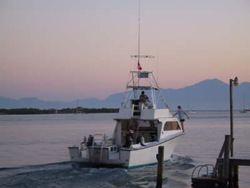 These boats will quickly get you to dive sites all around Utila. The Utila Aggressor is an amazing way to experience the diversity of one of the top rated diving destinations in the world. This 100-foot hotel on the go, will take you to amazing sites including walls, wrecks and offshore sea mounts while accommodating 14 passengers comfortably. This yacht was designed with the diving enthusiast in mind, with truly unlimited diving (day and night). 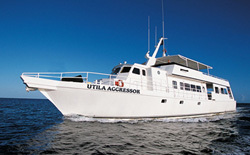 The Utila Aggressor charter is seven days (Saturday afternoon to Saturday morning), and includes five and a half days of diving. 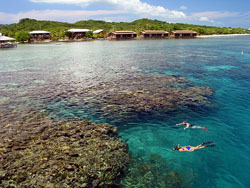 Most days on the beautiful blue Caribbean waters provide the opportunity to make 5 dives a day. 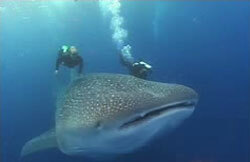 Utila is famous for whale sharks, which are usually in the area February through May, and during this time guests may have the opportunity to dive with these gentle giants. 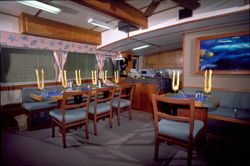 * 5 Staterooms with either a queen or single berths with in suite bathroom, hair dryer, TV/DVD, port windows, and air-conditioners. 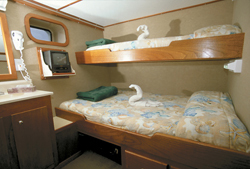 * 1 Quad Cabin has four single berths with a private bath. 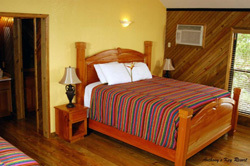 Rates are per person in USD, double occupancy, except quads (pp with quadruple occupancy), and are subject to change without notice.